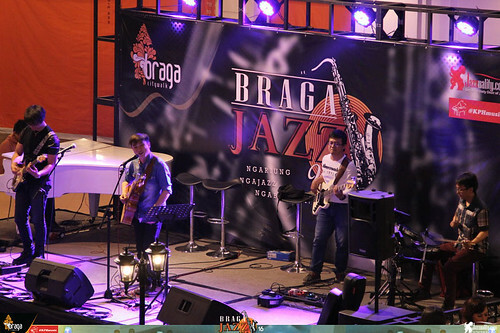 Another good round was scored in Braga CityWalk, the home of Braga Jazz Walk. 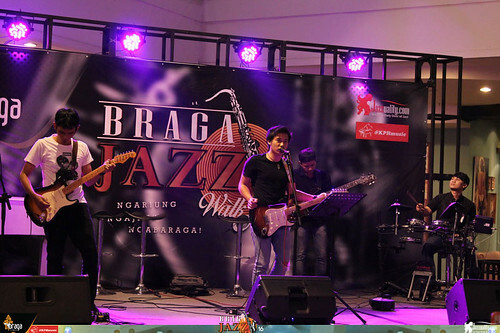 In this 16th edition wide variety of jazz was found, brought by four groups with different concepts. 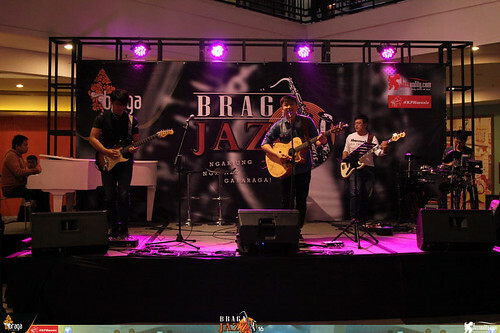 From pure jazz instrumental delight, blues-based music, pop to the amazing acapella, Braga Jazz Walk #16 happened to be a solid episode with good quality and variation. After a couple of soundcheck, the event began not with the featured bands but a new comer, female soloist named Caroline Boenardi. 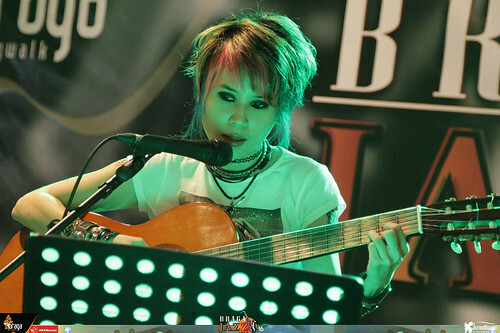 This lady with unique appearance found her passion in music since early age but she started much later than that. What’s good is that in music nothing’s ever too late. She started learning actually not long ago, but she grows really fast. Caroline took our challenge to appear all by herself for the first time in front of the public, covering Steven Curtis Chapman’s song, “I Will Be Here.” A nice, folkish pop opening we should say, delivered beautifully in good control by Caroline. For a beginner, she does really well. We are going to give her one full session soon so she can gain experience faster. 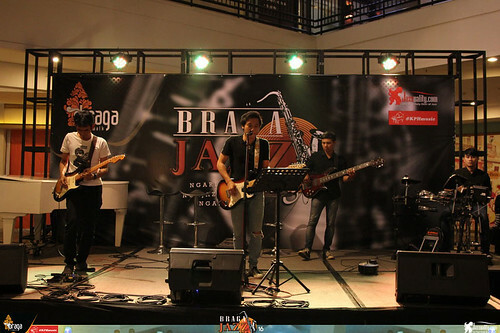 From the lineup, the first one to run was a band representing the pioneer of jazz school in Bandung established in 1988 by Venche Manuhutu, the Venche Music School (VMS). The band is New Equinox, comprises of three young guns Yohan Gunawan (piano), Alman Naufal (drum) and the owner’s son, Ezra Manuhutu (bass). By calling the band as The New Equinox means there’s the old version of it. 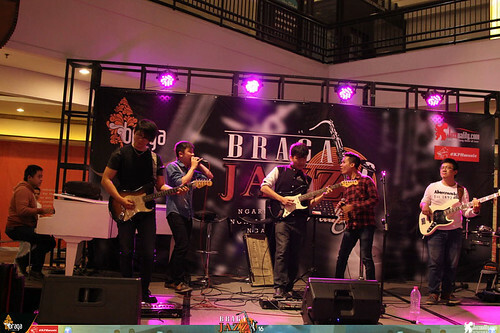 Yes, there was a band called Equinox, active in the local Bandung jazz scene a couple of years ago. 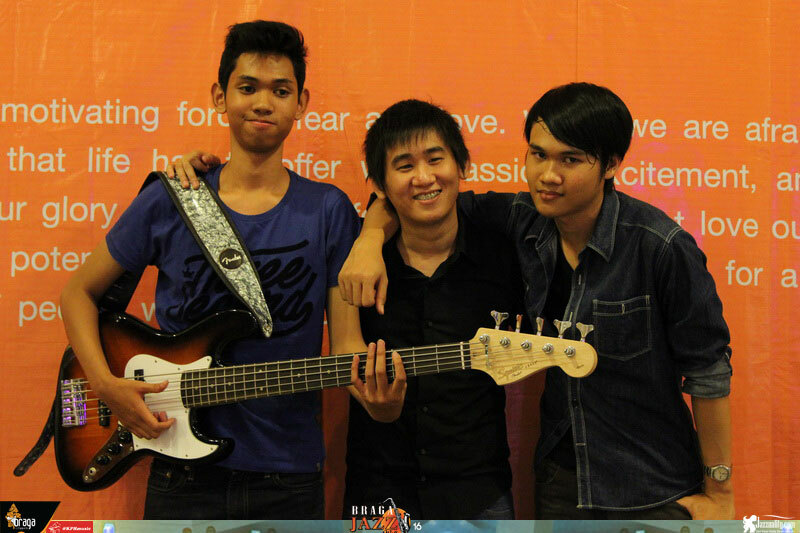 Yohan and Alman were there, but bass was guarded by Ilham Septia. We haven’t heard about them for some times, but now with new bassist, they are ready to embark a new journey. 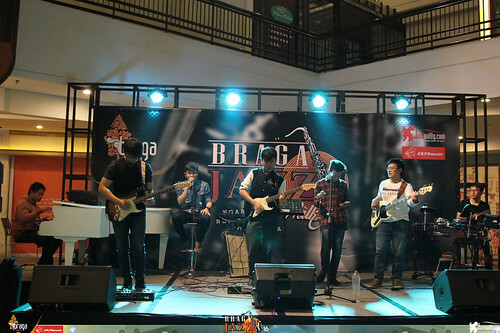 The New Equinox played 3 songs, all composed by their mentor, Imam Pras. 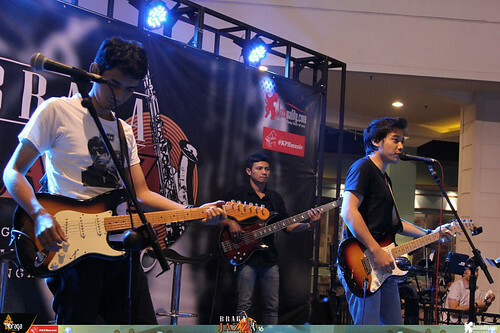 Pure jazz delight brought by three lethal young guns was great to have for a start. Wes Montgomery’s “4 on 6”, the jazz standard from 1931 that was brought famous from the likes of John Coltrane and Chet Baker “Just Friends” and another classic from 1947 popularized by Miles Davis almost a decade later, “On Green Dolphin Street”. 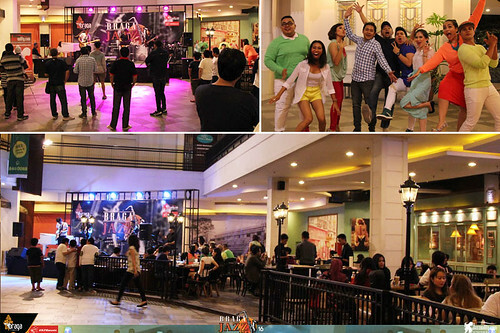 Swingin’, boppin’, lots of fun and action. Only 3 songs but it was more than enough to give a strong statement of their return. New bassist Ezra did great in replacing the previous player, Ilham Septi Inda Nugraha. 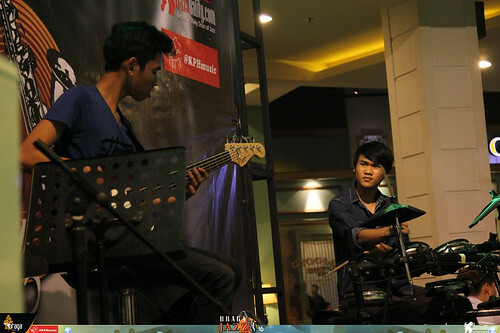 Alman as usual ran free and wild behind the drum, and Yohan ‘Yoyo’ played like a real experienced pro on piano. 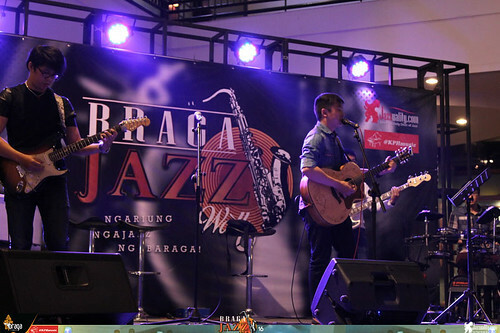 Three players found inside are still young, but they have already able to play traditional jazz really well. 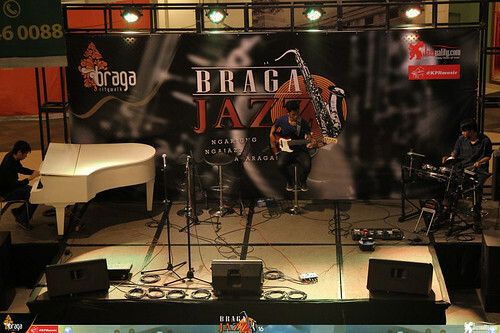 Venche Music School have produced so many successful jazz musicians. No wonder, the school is full of great teachers and has good curriculum. After this show they will climb higher mountain, ready to open Dwiki Dharmawan and World Peace Trio concert at the TP Jazz Bandung Festival (read the info here: http://jazzuality.com/jazz-events/tp-jazz-bandung-festival-2015/). They make VMS proud, us too. 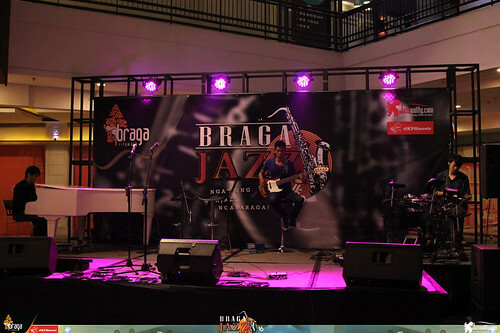 A good jazz trio like this is always needed, so hopefully they will stay active for more years to come. Billy Setiawan Sanjaya took the second round. This good looking young man is currently one of the City Light Community Church (CLCC) worship leaders and also a member of the inter-denominational music ministry established in 1988 which consists of singers, musicians and dancers, the Celebration of Praise (COP). 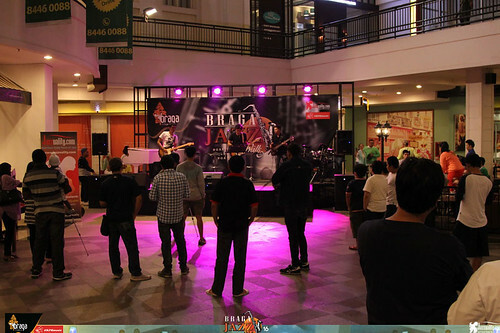 In the secular scene he’s been active performing in many regular events in Bandung and gigs in other cities like Bali, Tasik and Jakarta. 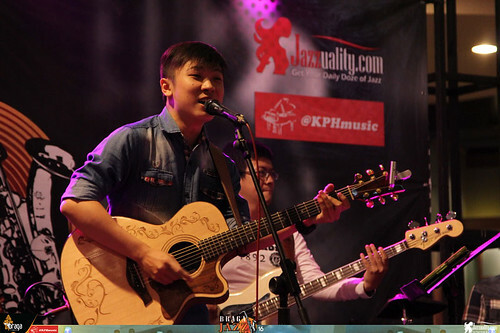 He sings and plays guitar just as good, he also has the ability to write song. For the first time he landed on Braga Jazz Walk. 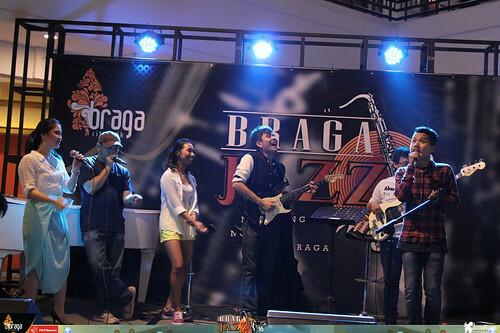 For this gig he brought a strong team to back him up including Geby (drum), Jessy (guitar), Indra (bass) and Panji (keys). 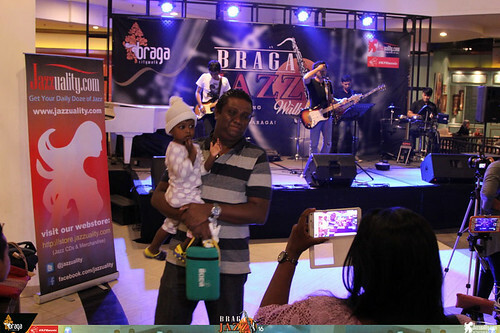 A soulful jazz opening was directly served with Al Green’s “Let’s Stay Together”. Then he delivered a joyful party through two songs: Michael Jackson’s “Rock With You” and Earth Wind and Fire (EWF)’s “September.” Some of the audience tapped their feet and some even swayed. That means they felt it. We did. It was fun! 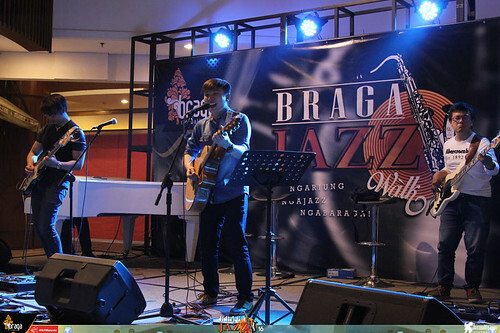 Billy has huge passion in music especially in pop and jazz fusion. He has gained many valuable experiences so far, but since he’s still young, he has a really promising future ahead. If he keeps running and take learning as a life long process, one day he will have his dream come true and fulfill his calling. 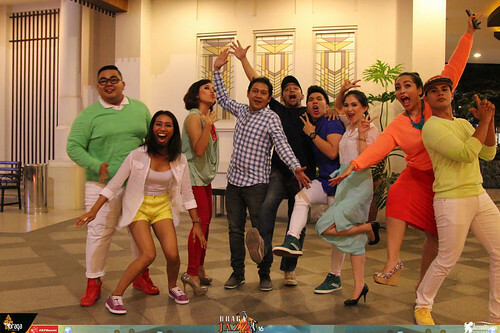 Since Billy is being called to bless others, we believe he can do that not only by leading the praise and worship in church but he can also bless others by giving up a good performance outside the church and make everyone happy with it. Looking at the chemistry they shared to one another, we think this band should be kept alive. 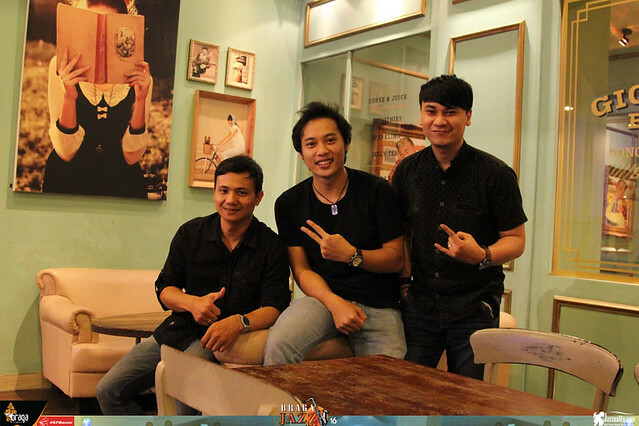 Strong, skillful team who knows how to transfer smile and happiness to the crowds. People do need that. 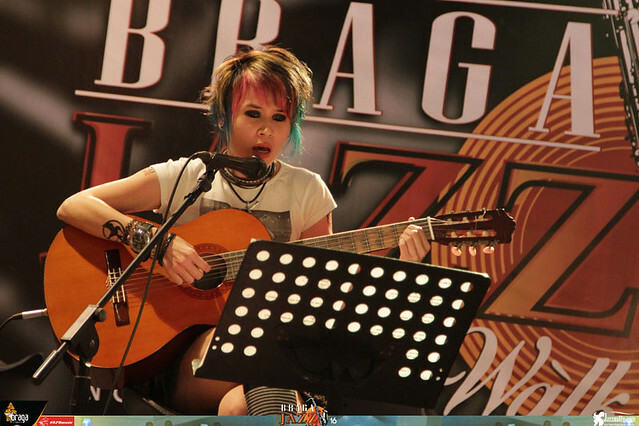 Next, Izky Mudza. This young man embraces blues as his core, and because of that it’s natural for him to get into rock, alternative and jazz. He’s been playing in cafes for some times, now it’s time for him to step further by making album. One single is done, titled “Buatku Gila”. The last time we feature him was back in June 2015 at the 14th edition, so it’s about time to have him again in this one. 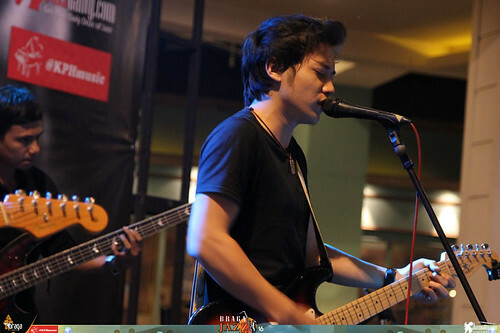 He plays guitar and sings, he can write songs and arrange too. Another important thing, he has strong character and charisma while performing which are important in order to be successful in this scene. 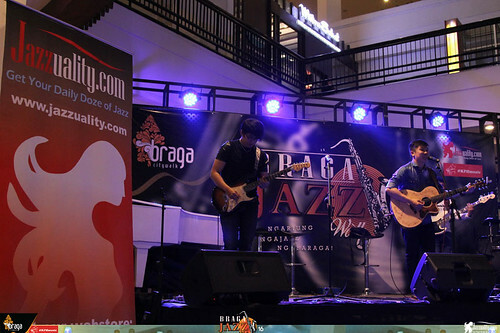 Izky brought 3 players: Roni Okta (bass), Maher (acoustic guitar) and Rangga (drum). A power punch opening was directly thrown, pinning Stevie Wonder’s hit “Superstitious”. 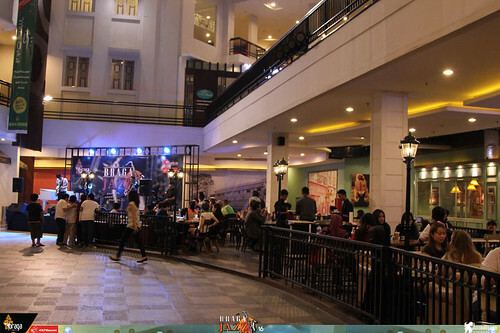 Just like before, Izky fastly adapted with the stage and crowd and created comfortable surroundings. His high pitched vocal shone right from the start. He moved on with his original song, “Felopia” then sang another Michael Jackson’s collection, “Human Nature” in more rockin’ approach. We are proud to see his progress. He has one single and continuously working on his album. Other than the important aspects such as ability to sing, playing guitar/instrument, write song and lead, he has the originality, charm and charisma. He is a star in the making, if he keeps the consistency, we have no doubt he will make it. Let’s wish him the best and hope to hear more updates from him soon. The last performance was super cool and highly entertaining. 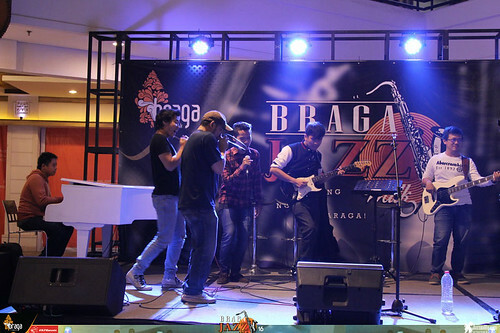 For the first time acapella took place at Braga Jazz Walk, brought by the amazing acapella group from Jakarta, Pitupella. 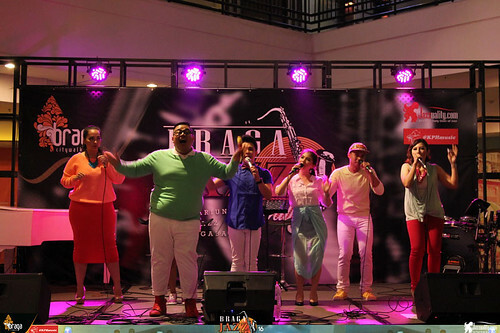 This group consists of 7 vocal masters: Priskilla Ferrolita (alto), Ayonk (tenor), Jesse Thomasmore (bass), Gloria Marina (sopran), Siska Napitupulu (arranger/beatbox), Geraldine Sianturi (sopran) and Michel Benhard (tenor). 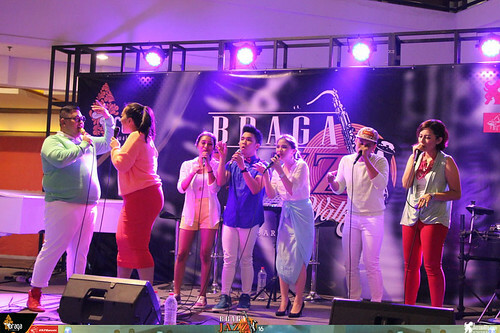 Eventhough the group was established not too long ago, they have been in many prestigious occasions that should make anyone proud. 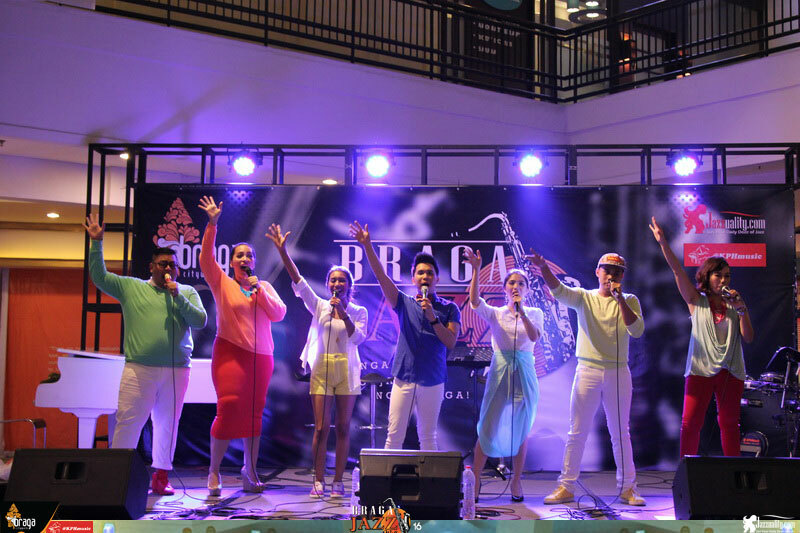 They landed big on Asia’s Got Talent, Johor Baru representing Indonesia (aired on AXN, 2015) and became one of the finalists of Indonesia Mencari Bakat Season 4. Some of them go into acting too. 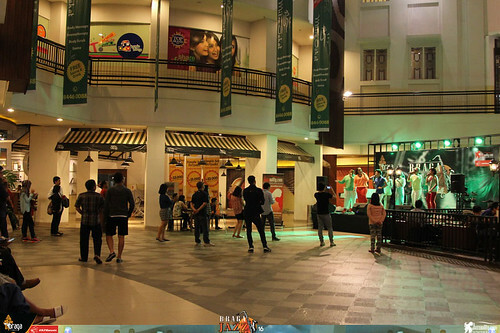 Ayonk was in Net TV series “Masalembo” and “Laskar Pelangi”, while Geraldine got a role in “Demi Ucok” the movie. 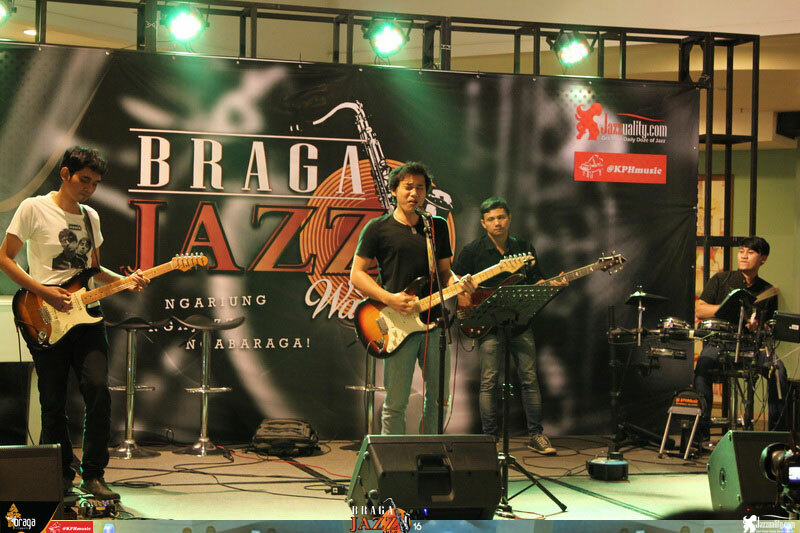 The last time we saw them was when they delivered a really entertaining show at the Indonesian Jazz Festival 2015. Yes, Pitupella has 7 magnificent singers and wonderful harmony, but that’s not all because they are capable to make unique arrangements and style. 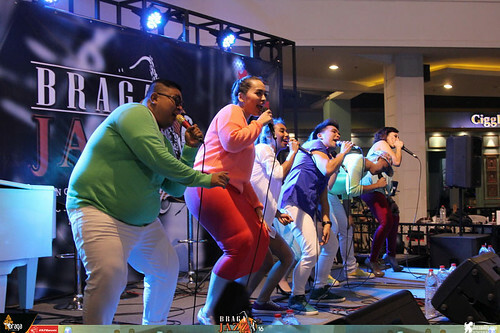 Speaking of appearance, these 3 boys and 7 girls have cool stage act that will attract anybody instantly and glue them all the way to the end. 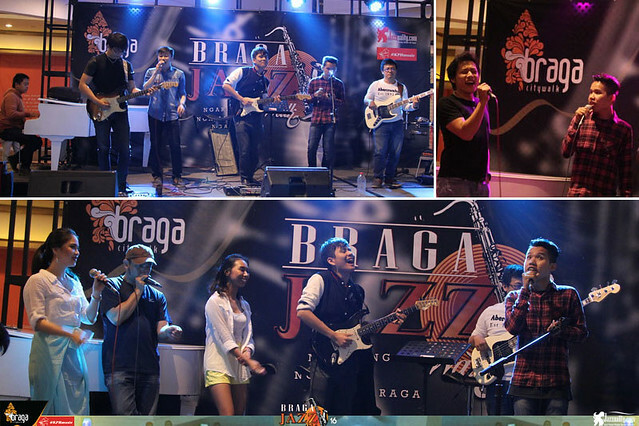 They brought it all in their first ever appearance at the Braga Jazz Walk. In the spirit of Pitch Perfect they brought in lots and lots of songs, jokes and interactive connection with the audience made their performance fun to watch. Charlie Puth and Meghan Trainor’s “Marvin Gaye” started it all. Then Stevie Wonder’s “Isn’t She Lovely” and the recent hit of Clean Bandit, “Rather Be”. 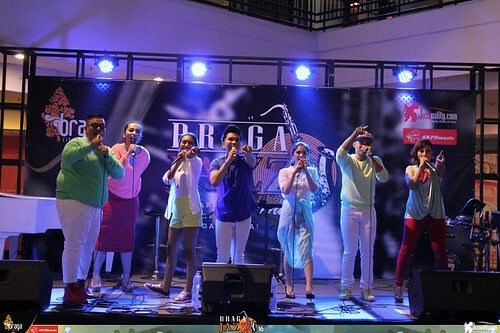 Interestingly they also took some Indonesian songs in medley. Starting with “Warung Kopi”, a famous theme of comedian group DKI, they jumped suddenly to vintage Dara Puspita’s version of “Burung Kakaktua”, a little bit of “Suzanna” and then surprisingly placing in dangdut song “Aduhai” with funny theatrical act. 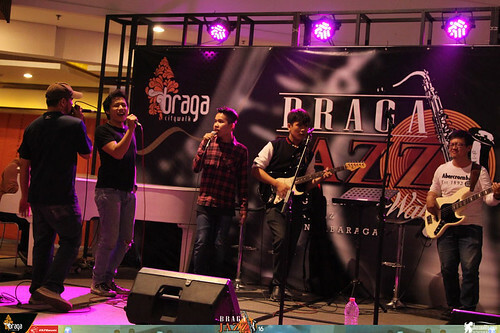 A song from the 80’s by 2D, “Oh Ya” served in jazz vocal harmony. 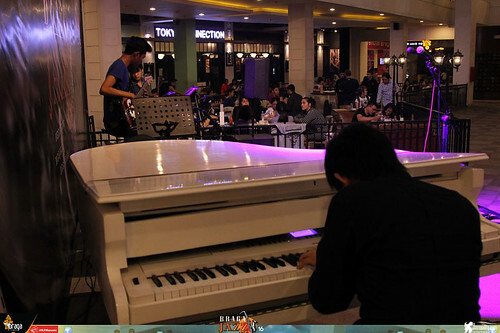 When one of the audience requested a song, they gladly fulfilled it. 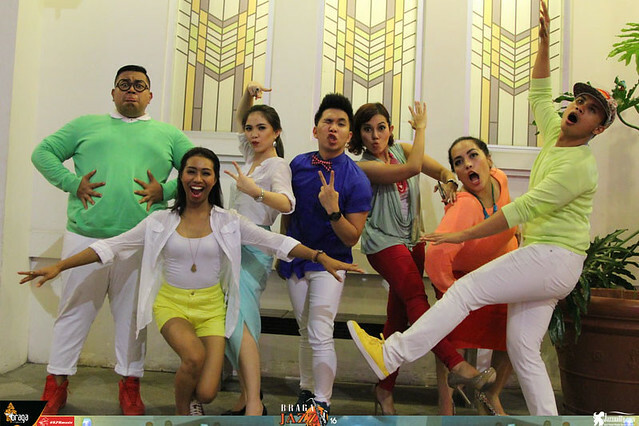 It was one song from Pitch Perfect 2, “Flashlight” by Jessie J. Katy Perry’s “Roar” was next. 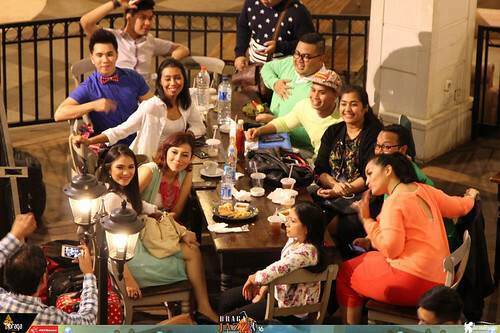 For the last meal they made a unique mashup with a set of Indonesian folk songs including “Suwe Ora Jamu”, “Manuk Dadali”, “Tak Tong Tong” and “Yamko Rambe Yamko”, sealed them up inside Beyonce’s “Love on Top” and “Halo”. 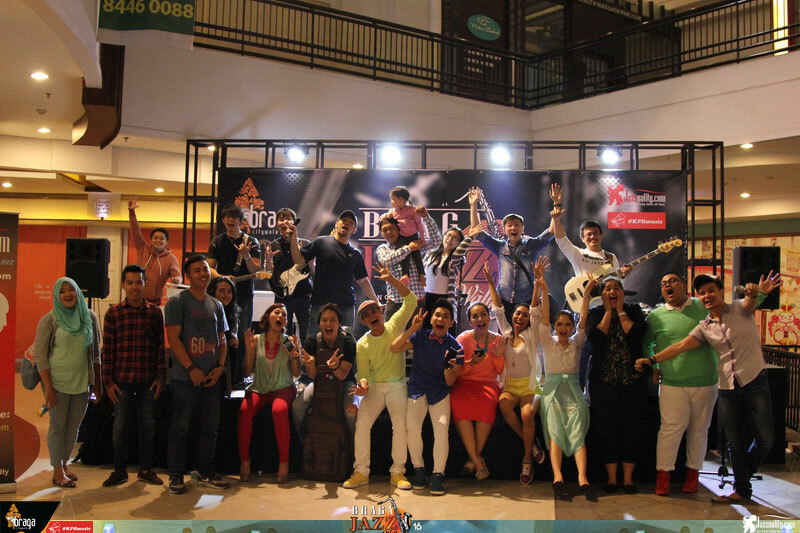 We feel happy and proud to have Pitupella perform in our event. Not only one can learn a lot from them, anyone who see them would surely happy too. 7 great singers blend perfectly in harmony, cool arrangement and fun stage act. No instrument needed, just voice. 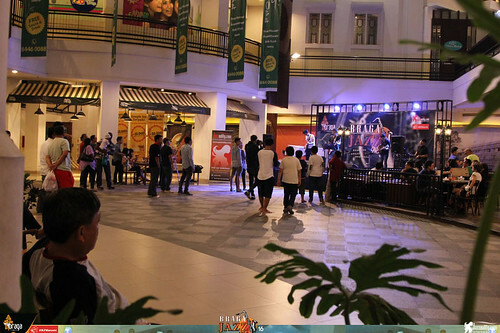 But look at the way they entertain their audience. 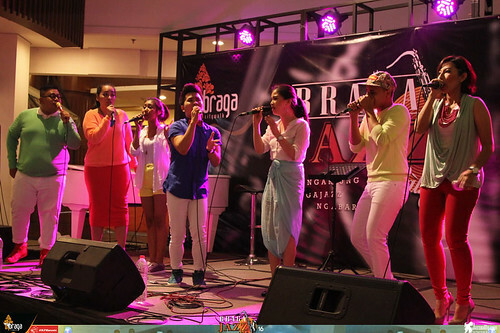 Pitupella is not a four piece traditional vocal harmony but modern acapella group that has the touch of urban music through the beatbox. 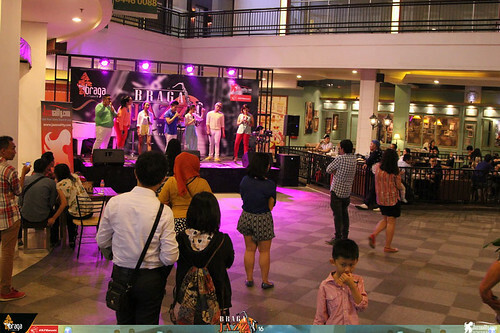 We got a wonderful singing, beatboxing and mouth trumpet sensation from them. 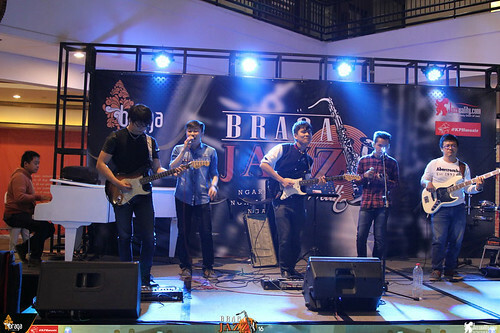 Thank you for coming, Pitupella, and thanks for adding a different form of jazz into our event. Wish you the best of success. Salute! Another solid edition is being added to our note. Speaking of the great talents, the wide variety of jazz and the response from the crowds, this edition got it all. 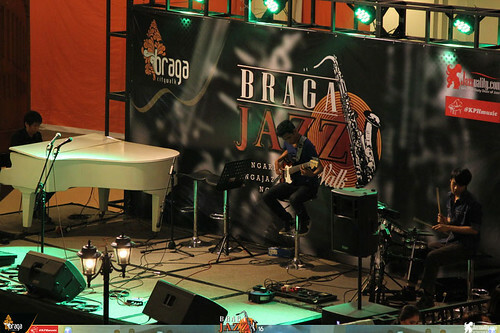 For around 3 hours jazz was served colorful and fun. We feel happy with the result. Thank you to all performers, jamming participants and everyone who came to watch the event. We will be back again in November with another new batch. 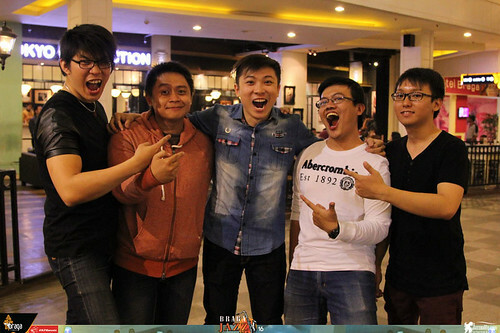 Hope to see you again next month!